Personal Details: Lindsay Claude Wickham stood 5 feet 11 inches tall, weighed 159 lbs and boasted a chest of 38 inches. He had olive eyes and brown hair. Enlistment Details: Enlisted at Morphett Vale on the 19th of August 1914 at 19 years of age. 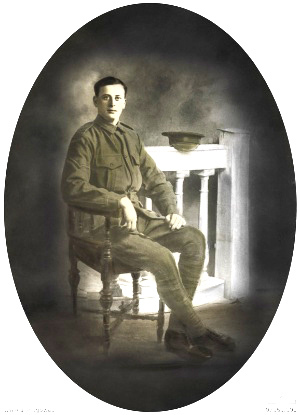 Details about his role in War: Lance Corporal Lindsay Claude Wickham, 10th Battalion, of McLaren Flat, SA was a carpenter prior to enlistment. He embarked with 12 Platoon, B Company from Adelaide aboard HMAT “Ascanius” on 20 October 1914. The 10th Battalion was among the covering force for the ANZAC landing at Gallipoli on 25 April 1915. On the 10th May he was promoted to Lance Corporal and then on the 11th October he was promoted to temporary corporal. L Cpl Wickham suffered several bouts of illness during the Gallipoli campaign and was invalided to Egypt in November 1915. Moving with his unit to France in April 1916, he was promoted to corporal once again and then was promoted to the rank of Sergeant the following month. On 25 July 1916 Sgt Wickham's unit took part in an attack at Pozieres. 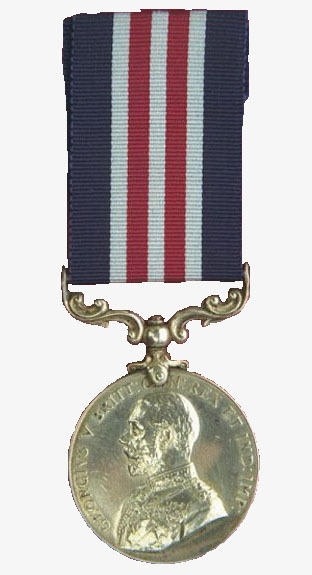 He was recommended for the award of a Military Medal for leading a party along the parapet and throwing bombs into a German trench, continuing until it was taken despite suffering a leg injury. After his leg was dressed, Sgt Wickham assisted in carrying a badly wounded man to the aid post, carrying him for part of the way on his back. Shortly after the battle he was reported wounded and missing in action. Despite extensive enquiries made by the Australian Red Cross Wounded and Missing Bureau, they were unable to establish his fate or whereabouts. Lindsay had been promoted to 2nd Lieutenant on the 24th April but probably did not know of his commission, which was awarded posthumously. The Australian military authorities later listed 2nd Lieutenant Wickham as killed in action on 25 July 1916, aged 21. He was posthumously awarded the Military Medal on 27 October 1916. Interesting Material: Lindsay had a very large family. His grandfather Daniel R Wickham and his grandmother Eliza Caroline Hobbs of Gloucester England. They migrated to Australia and married on the 14th of January 1857 at Wesleyan Chapel Pirie St. They then settled down in McLaren Flat. Here they had ten children. The fourth born Child was Benjamin Wickham. He was born on the 22nd of June 1867. He married a woman named Alice and together they had Stanley Walter Wickham on the 18th of June 1890 and Lindsay Claude Wickham on the 20th of July 1895. They also gave birth to a girl but her name and date of birth are unknown. The Wickham family became so well established in McLaren Flat that there is now a Wickham’s Hill region and road just outside of the flat. Prior to enlistment Lindsay Claude Wickham worked as a carpenter. Upon his death his possessions were sent home to his parents, these consisted of his identity disk, a book of poems, his wallet, photos, 1 form of commission, suit pyjamas, two scarves, shorthand book, safety razor, two stones, clothes brush, a comb, a pipe, several letters, snuff box, four handkerchiefs, tobacco tin, a French book and his diary. His family posted an obituary upon hearing of his death and it read as follows ‘Wickham – In loving memory of our dearly loved son and brother, 2nd Lieutenant Lindsay Claude (10th Battalion). Reported killed at Pozieres July 25th 1916. Not now but in the coming years; It may be in the better land, We’ll read the meaning of our tears, And there sometime we’ll understand. Inserted by loving father, mother, brothers and sisters.’ On Monday the 20th of September 1915 the students of McLaren Flat Primary School planted trees along Ingoldby Road in commemoration of the soldiers who went to fight in the Great War from the McLaren Flat/Blewitt Springs region. One of these trees was dedicated to Lindsay and continues to grow today.